I do assume that most of the gamers have the above question in their minds and they are deliberately confused to pre-order Battlefield: Hardline or Advanced Warfare. But then there are many who would rather choose to buy Adv. 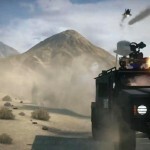 Warfare but can they really ignore Hardline at the same time? That’s a tough decision to make. To clear all your doubts let’s have an overview regarding the gameplay features offered by both of the games. 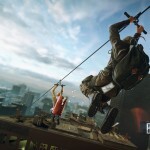 To start with Hardline, the developer Visceral Games has taken the decision to completely change the theme of the upcoming game rather than that of the previous titles focusing mainly on ‘Military Warfare’. 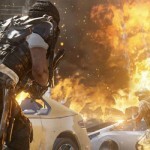 The new BF title will be based on ‘Criminal Warfare’ in the streets of LA Downtown which means that this time it will be Special Police Forces vs. Criminal Warlords. 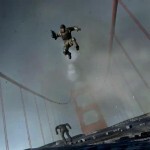 That’s an innovative approach taken so far in the Battlefield franchise. 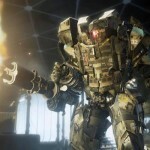 But unfortunately after the E3 reveal, the beta version of the game was met with negative response from analysts and fans from all over the world. 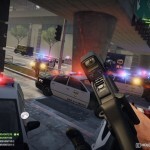 Even though the idea to choose the battlefield on the streets of LA is a unique idea, most of the people critcised the use of military grade weapons by the police squads and the criminals that doesn’t even match the theme of the upcoming title. In fact I also agree with them. 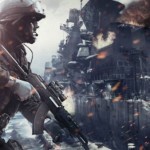 When I saw the beta footage of the game I felt as if like it was kind of a mod or a DLC of Battlefield 4. I was completely disappointed to see that. It’s okay…EA, I love and support your idea of going out of the box this time but why couldn’t you match the environment with the settings appropriately? Let me give you an analogy. This may be a bit off topic but we are going to discuss something about The Order: 1886. If you haven’t heard about it then you may check this link: https://www.techlegends.in/?p=1794 . You know the point that I am trying to make is that that the developer of this game has done a decent job. Actually, the story of this title is set in the year 1886 but players have access to advanced weaponry like miniguns, frag grenades, etc. that actually sounds odd and doesn’t fit to the title of the game but Ready at Dawn has pulled off such a nice job to fit the advanced era into the settings of the game that even you won’t get the slightest hint that you are in the year 1986. In fact the developer has made that the theme of the game. I hope that you get my point. 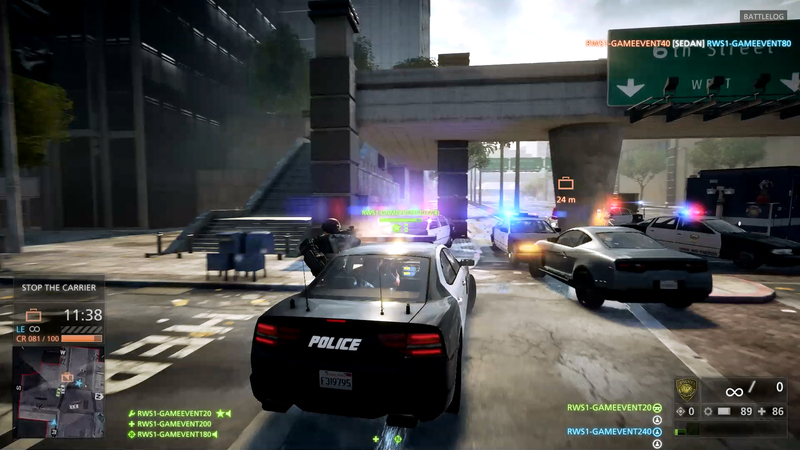 Why can’t Visceral Games do something like this to make Battlefield Hardline look better? Now, let’s discuss something about Advanced Warfare. 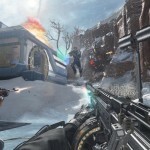 After 3 years, Sledgehammer is back with our anticipated FPS game. We missed Sledgehammer a lot and for all this time, the dev team was busy in developing our next-gen game. The game is set in the year 2054. So, you would definitely expect an advanced era with a wide range of high-tech machinery and weapons available at your disposal. 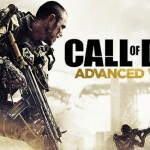 When I saw the E3 reveal of this game I was completely surprised by the significant changes made to enhance the upcoming title in the COD franchise. 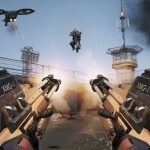 Especially, when I got to see a wide range of unique weapons available, I jumped off from my chair because after a couple of years, Activision had utilised almost everything to make this game a unique one in the COD series. 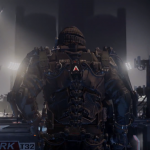 You will be equipped with an exo-suit that will augment your abilities like you can ascend high into the air swiftly with mega jumps and can utilise abilities like that of a superhuman. What surprised me the most was the high-tech grenade which you can use to switch into different modes like frag, smoke or threat and then it goes off directly like a small rocket flying in to your enemies and then BOOM!….Woah…I really liked that. When you choose the threat mode and deploy your grenade, you can identify all your enemies hiding behind objects or walls…use your exo-suit to directly jump into them and then BAM! This is something that the fans actually wanted…to experience something new in a COD game for all these years. 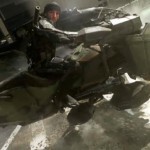 Although the idea of exo-suit may have been derived from Crysis but still Sledgehammer has done everything to make this game completely different than the previous COD titles. 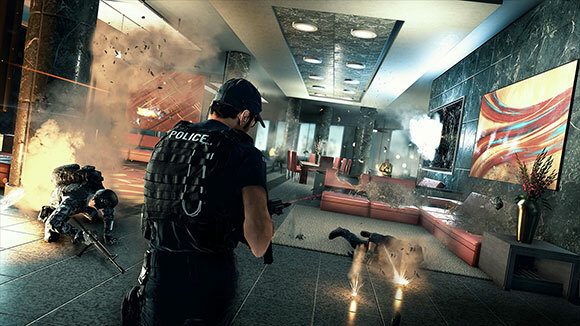 Let’s come back to Battlefield: Hardline and the single player gameplay offered by this game. This is something that you may find worth entertaining as for the first time you can choose to either sneak in and complete your objective or you may choose to cause mayhem. It’s completely upto you but I really do appreciate the stealth mechanic…an entirely new approach incorporated in a BF game so far. You get access to certain police type weaponry like taser guns to knock down your opponents. Further, you are equipped with a police scanner to analyse your surroundings, mark your targets and can track them anywhere…in fact also see them through walls. That sounds cool and I like all kinds of stealth games. Hence, I would prefer this game for the addition of stealth mode only, though it’s kind of a tweaked version of the stealth mechanic in Wolfenstein: The New Order. Yes, maybe EA has made a bad move this time….maybe Hardline looks like a mod of BF4…but still, I assure you that it will be worth entertaining if you have not played any Battlefield games before. Yes, there is one more thing I forgot to mention is that there are some interesting multiplayer modes in the game like the Blood Money where you have the right to either play as a cop or a criminal to help your squad fight against your enemy to retrieve the money stolen from a bank. In the Hotwire mode you will be involved with car chases …in fact you can drive vehicles (also in third-person view) to intercept and take down your enemies. 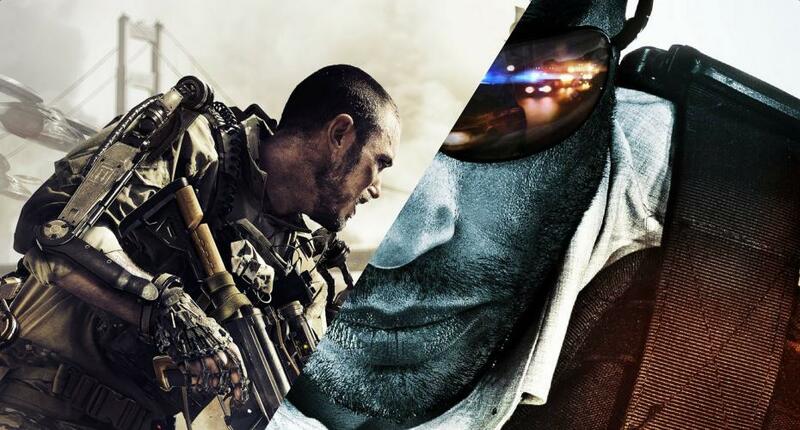 So, finally we can come into one conclusion that COD: Advanced Warfare has an upper-hand over Battlefield: Hardline. Though, the former seems to be the winner we still don’t know many things about the latter yet as EA has moved it’s release date to 2015. So, their might be some changes the next time we hear about Battlefield but as of now, I would advise you to put your money for Advanced Warfare and I assure you that it will be equally rewarding…who knows…it might be more than that? 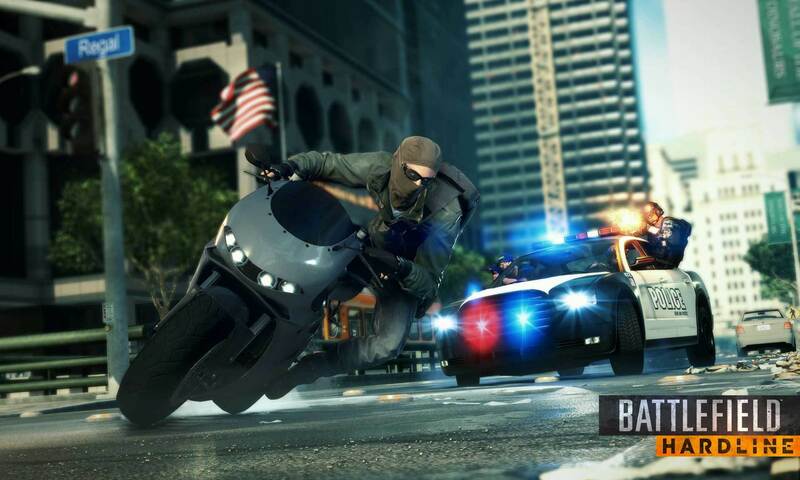 But if you are really a stealth game lover and have a lot of patience then you may also choose to buy Hardline.